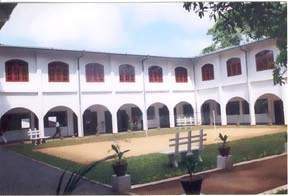 Sri Lanka Technical Institute & Diyagala Boys’ Town, was born out of the educational vision of St.John Baptist De La Salle, the founder of the congregation of De La Salle brothers, better known as Christian Brothers. He was a great educationist in the 17th century. The Supreme mission of the congregation is to give education, specially to the poor. The Boys' town was founded on 30th April 1963 under the vision of Very Rev. Bro. Vincent Gottwald, then Provincial Visitor and the founder being Rev. Bro. Hemlenegild Joseph. race, between the ages of 15 -20 years enabling them to secure a decent place in society. The training lasts for 4 years. 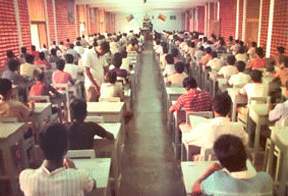 An intensive practical training in Technology, Faming, Agriculture and other useful trades, are given to the resident lads to fit them to become responsible, useful and duly employed or self employed citizens of the country, who instead of being a burden, will be of service to the state, to others and themselves in later life. This year 150 boys are following the training. The Diyagala Boys' Town Complex has been planned and equipped to cater to the various aspirations, talents and capabilities of the different types of boys we admit. life economy and can also become more qualified for any of the jobs having their preferences. The trainees are all resident thereby making the Institution and it precincts a small city, where lads of all races are trained to live in harmony.